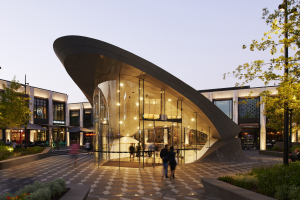 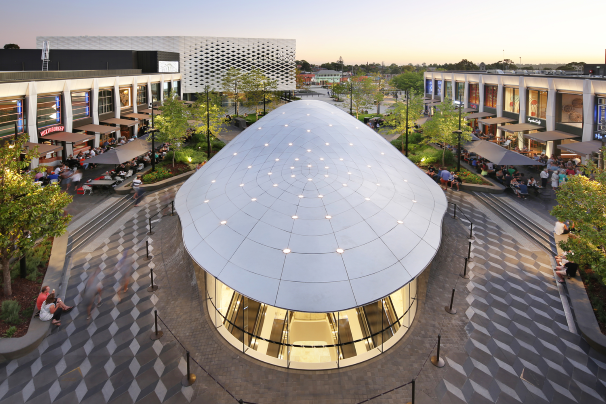 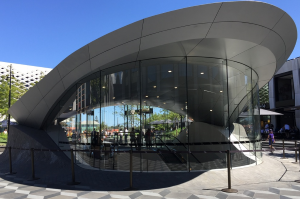 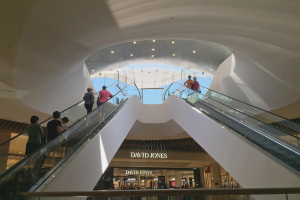 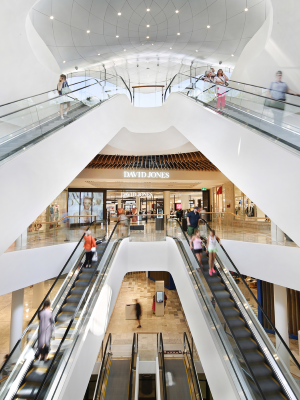 The Shard, a 25m long aluminium clad structure with a cantilever of 13m is the signature entry pavilion to the newly refurbished Eastland Shopping Centre in Melbourne, Australia. 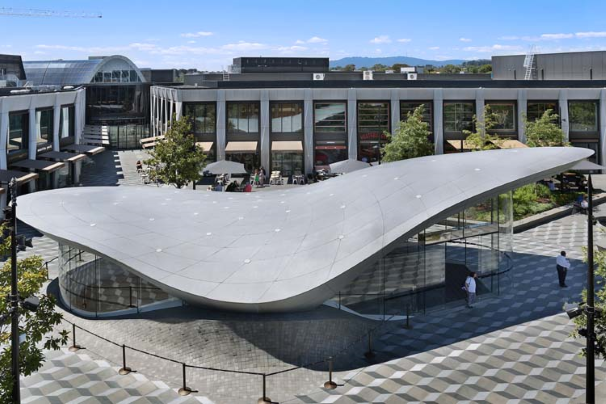 The Shard is a focal point within the centre’s new Town Square civic and restaurant precinct. 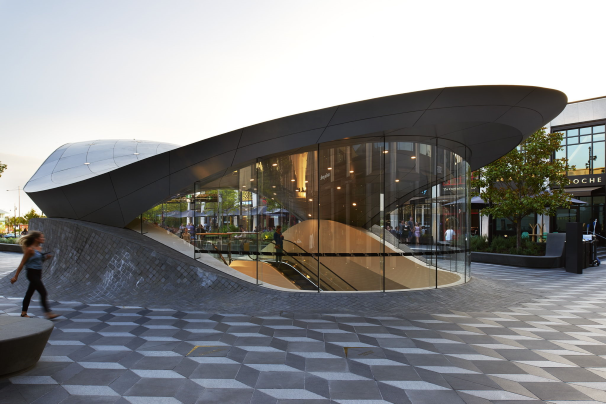 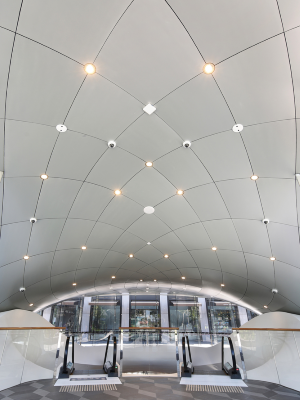 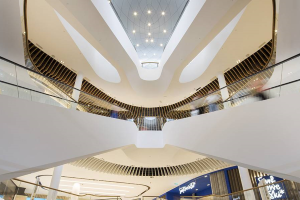 The pavilion acts as a vertical transport node and feeds patrons into the retail centre by a pair of escalators.